Acacia Quartet - 4 + Viola! 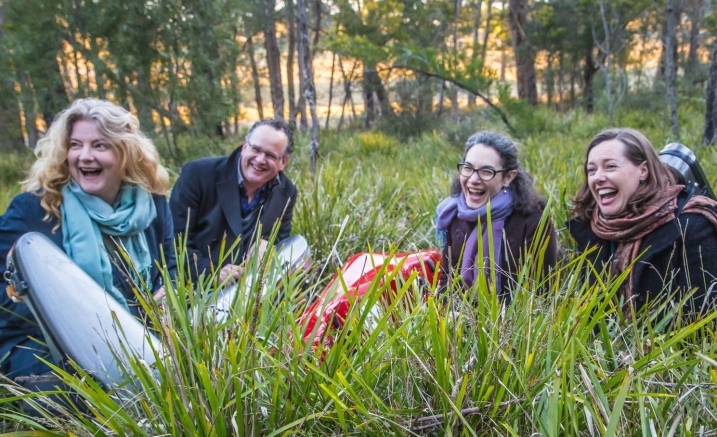 Established in 2010, Acacia Quartet have won praise for their versatile and inventive programs coupling established repertoire with the unorthodox. With seven albums, three ARIA nominations and an APRA Art Music Award for Excellence to their name, they are passionate supporters of supporting young musicians, Australian composers and sharing their love of music with all audiences. Acacia Quartet takes great delight in presenting another program of viola quintets with international viola soloist Emile Cantor. The program features Mozart’s wonderful but dark and melancholic String Quintet in G minor, K516 and Antonín Dvorák’s String Quintet Op.97 which he wrote during his famous summer vacation in Spillville, Iowa, just after his famous American quartet.